Our AmeriCare Tucson team is honored to provide care for many wonderful people. 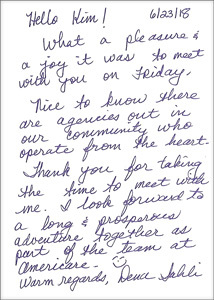 We are also humbled by the kind words these individuals have shared with us. We have been extremely happy with the services provided by David and his staff. They are considerate and caring; and we know that my father is in good hands. The have gone above and beyond what is expected of them on several occasions. Without these extra services David provides, my father would need to move to a higher level of care and loose much of his independence. I have been blessed with the opportunity to work professionally with AmeriCare. They have quickly become my number one referral source. Gerry is quick to contact patients and assist in meeting needs of scheduling, patients unique needs, and overcoming obstacles. I have seen the heart of AmeriCare work with a patient who had no support. 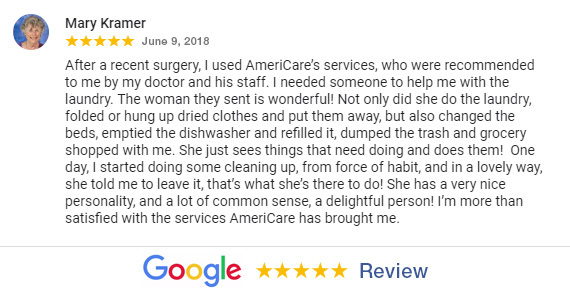 AmeriCare became that support and went above and beyond. These are the kind of people I want to do business with and will continue to grow a professional relationship with. It eases my worries to know our patients are well cared for once referred to AmeriCare. To the mommy of the most beautiful baby in the world. Thank you so much for all of your caring & generosity. You are one of my earth angels. I had a very great expierence working with the office manager. I would feel very comfortable using AmeriCare for my loved one. I felt at ease after speaking with Kim about the care AmeriCare provides. Martha has been moms caregiver for the past 4 weeks. She is so loving and caring and Mom smiles when she hears her voice. Today Martha needed the day off and Linda was here this morning. How lucky could we be to have another caring and loving caregiver with Mom. After a recent surgery, I used AmeriCare’s services, who were recommended to me by my doctor and his staff. I needed someone to help me with the laundry. The woman they sent is wonderful! Not only did she do the laundry, folded or hung up dried clothes and put them away, but also changed the beds, emptied the dishwasher and refilled it, dumped the trash and grocery shopped with me. She just sees things that need doing and does them! One day, I started doing some cleaning up, from force of habit, and in a lovely way, she told me to leave it, that’s what she’s there to do! She has a very nice personality, and a lot of common sense, a delightful person! I’m more than satisfied with the services AmeriCare has brought me. 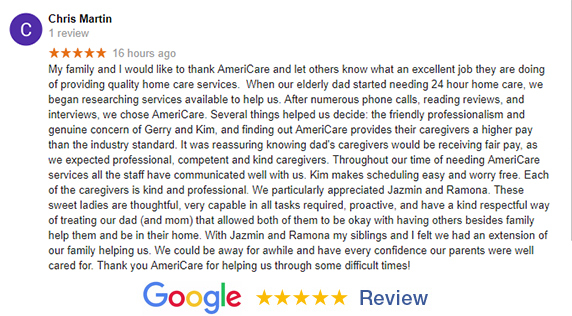 Thank you for choosing AmeriCare Home Care!